UN | It's Only Natural To Resist. From the late Vittorio Arrigoni’s book Stay Human which is an account of the 22 day Israeli massacre on Gaza in 2008-9. Don’t stay silent about injustice. 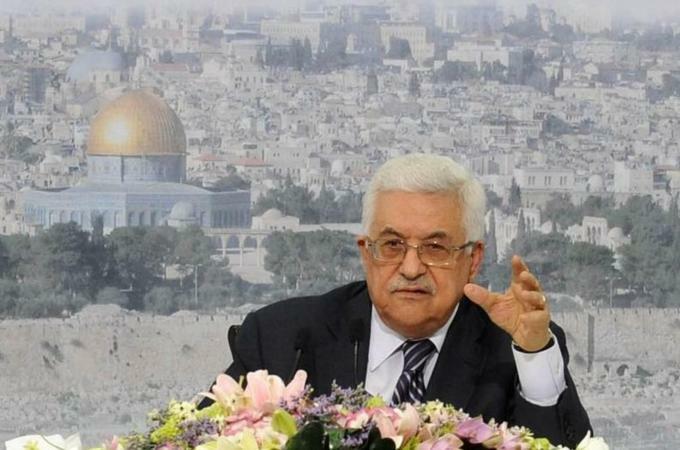 IMEMC – Palestinian President, Mahmoud Abbas, stated that the Palestinian Authority will act on the international level to stop Israel’s illegal settlement construction and expansion activities, and stated that there are 63 UN organizations that the Palestinians can now join. Abbas said that Israel must stop all of its illegal settlement activities, especially its E1 project that aims at linking occupied East Jerusalem with the Maale Adumim illegal settlement bloc. He added that the several countries have asked the Palestinians not to head to the International Criminal Court to sue Israel for its illegal settlement activities, and violations against the Palestinian people, but also stated that the Palestinian Authority reserves this right should Israel decide to go ahead with its E1 project, especially since this project will isolate East Jerusalem, its Palestinian communities and towns, will divide the West Bank, and block any Palestinian geographical contiguity. “Should Israel choose to implement the E1 project, the two-state solution will have no chances of survival”, Abbas stated, “Therefore, we reserve the right to head to different international organizations to stop Israel”. There are more than 35.000 Jewish settlers living in Maale Adumim, Israel wants to connect it to the illegal settlements and illegal settlement outposts in occupied East Jerusalem; the E1 project is planned to be constructed on 12 square/kilometers between Jerusalem, the Jordan Valley and Jericho, the Bokra Net Arabic news website reported. 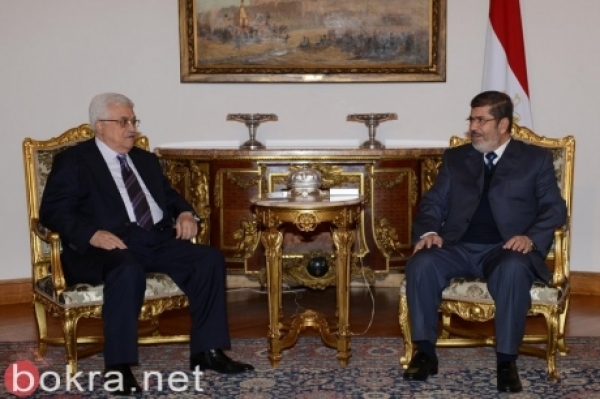 Abbas further stated that, after the Palestinians managed to obtain a nonmember observer state status at the UN General Assembly, the international community recognized Palestine as an occupied state. The Palestinian President Added that settlements are illegal, illegitimate and violate International Law, and that Jerusalem is also an occupied city, and the center of the conflict. Palestinian president asks government to stop using “Palestinian Authority” on public documents, as budget woes worsen. Palestinian President Mahmoud Abbas has asked his West Bank-based government to prepare for replacing the words “Palestinian Authority” with “State of Palestine”. The order by Abbas on Sunday applies to all public documents, but Palestinian officials said on Monday they will not rush to issue new passports and ID cards to avoid confrontation with Israel. Hassan Alawi, a deputy interior minister in the Palestinian Authority, said documents and stationery with the new emblem will be ready within two months, but all documents Palestinians need in their dealings with Israel will only be changed if there is a further decision by Abbas. Mark Regev, an Israeli government spokesman, dismissed the name change as insignificant, but declined comment on whether Israel would retaliate in any way. In late November, Abbas won UN recognition of a state of Palestine in the occupied West Bank, Gaza and East Jerusalem, overriding Israeli objections to the largely symbolic step. The UN bid gave the Palestinians new diplomatic leverage by affirming the borders of a future state of Palestine in lands Israel captured in 1967, but changed little in the day-to-day lives of Palestinians. Set up two decades ago as part of interim peace deals with Israel, the self-rule government was meant to be temporary and replaced by a fully functioning state of Palestine – to be established through negotiations with Israel. However, those talks repeatedly broke down, and for the past four years the two sides have been unable to agree on the terms of renewing the negotiations. In an apparent response to the UN move, Israel in December halted its monthly transfer of about $100m in tax rebates it collects on behalf of the Palestinians. That sum amounts to about one-third of the monthly operating costs of the Palestinian Authority, which now only takes in about $50m a month in revenues. Israel has said it used the withheld money to settle Palestinian Authority debt to Israeli companies, and it is not clear whether the transfers will resume. As a result, the Palestinian Authority is on the “verge of being completely incapacitated”, Prime Minister Salam Fayyad warned on Sunday. In an interview with the Associated Press news agency, Fayyad attributed his government’s “extreme jeopardy” and unprecedented financial crisis to failure by Arab countries to send hundreds of millions of dollars in promised aid. 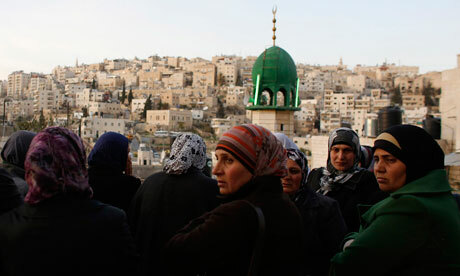 The 22-nation Arab League has not kept a promise to make up for the funds Israel withholds, Fayyad said. The cash crunch has gradually worsened in recent years, and the Palestinian Authority now has reached the point of not being able to pay the salaries of about 150,000 government employees, Fayyad said. While European countries have kept their aid commitments, about $200m in US aid was held up by Congress last year – a sum President Barack Obama’s administration hopes to deliver to the Palestinians this year, along with an additional $250m in aid. With 2012 over and 2013 here, why don’t we take a look at some statistics. It has been reported that the Palestinian Authority is currently looking into the possibility of filing a complaint to the International Criminal Court (ICC) against Israel for arresting 900 Palestinian children in 2012. Palestine is able to file to the ICC thanks to its succesful UN bid for statehood. “We need to use the newly gained state status to take measures against Israel for its crimes especially the arrest, detention, and abuse of Palestinian children, let alone trying them before military courts,” said Eissa Karakea, Palestinian Minister of Detainees’ Affairs. 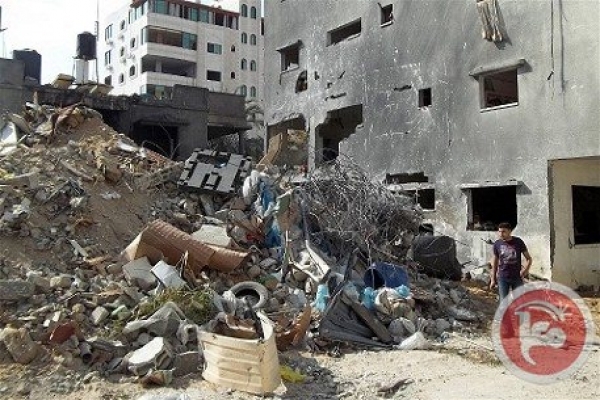 He also stated that Palestine now has the right to join international human rights organizations and through them can file complaints against Israel. “Israel is violating the Child Protection Act and all international laws by subjecting children to such traumatic experiences. The Israeli minister of security had actually said earlier that Palestinian children have no immunity” said Karakea. Karakea also states that the International Criminal Court is already aware of the horrendous crimes committed against Palestinian children. 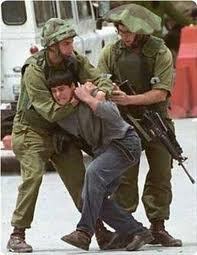 A report issued by the Ministry of Detainees Affairs revealed that the number of Palestinian children arrested by Israeli authorities had jumped from 700 in 2011 to 900 in 2012. According to the report, those children are usually mistreated and brutally beaten during detention in order to admit to crimes they have not committed and to. These children are also interrogated for long hours while their hands and feet are tied and sometimes they are blindfolded. In some interrogation centers, the report noted, children are left for hours under the rain. In most cases, the children are subjected to various forms of collective punishment. The detainees are deprived of basic rights like seeing their families and they are also not allowed to sit with psychiatrists. 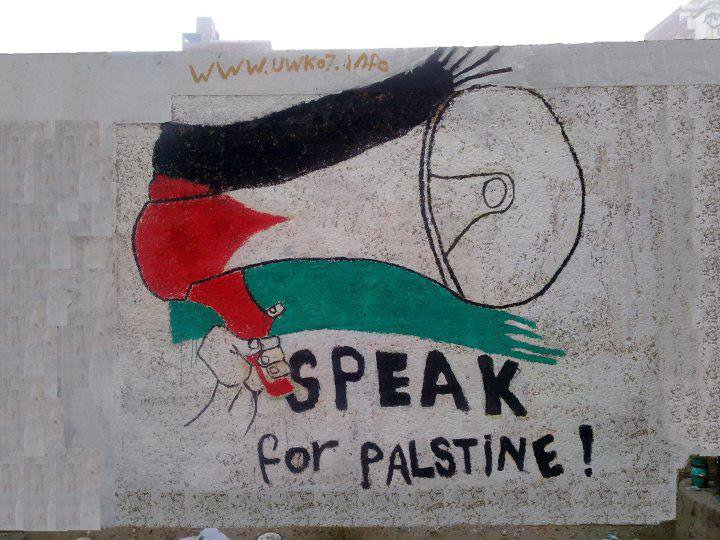 A cartoon I came across after Palestine’s successful statehood bid in the UN.